Polio Emergency Operation Centre confirmed new polio case reported from District Lakki Marwat of Khyber Pakhtunkhwa in 16 months child Anam. According to an official of the centre, samples of child were collected in December 2018, therefore the case belongs to last year tally. He said that the symptoms of polio in child were observed in December 10, 2018. The health officials sent her samples to National Institute of Health immediately for confirmation. 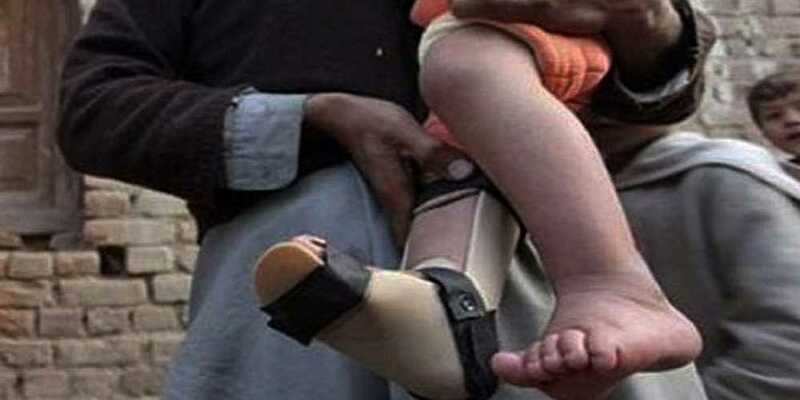 He said that the institute on Thursday confirmed in its reports that the girl carries polio virus. He said that this was the ninth case of year 2018. The fresh case was reported from Marmundu Azam of District Lakki Marwat .